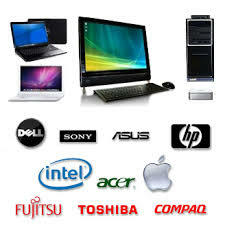 Personal computers and laptops have become the need of the hour. They have simplified many tasks and are big respites for the workers to get works completed early and in ease. Keeping in consideration such crucial needs of computers, most societies especially in the urban areas one can see the presence of computer dealers. As Hisar city is fast growing in the region, it too has welcomed many such dealers. Here is the list of computer dealers operating from this city. Apart from computer dealers there are also numerous cyber cafes that helps to connect people via online mediums. Keeping in consideration ardent needs of Internet services several cyber cafes operate in the city to cater to the general needs of its inhabitants. Even the travellers to this city require such services in emergency and therefore seek such cafes to get their Internet related needs fulfilled. This city therefore provides ample avenues for inhabitants and visitors alike to avail Internet services by approaching the cafes. Here is the list of Internet cafes operating in Hisar city.